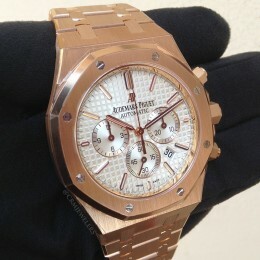 The Audemars Piguet Royal Oak line of watches was introduced in 1972. It was named after a trio of warships that were inspired by the name of a hollowed-out oak tree that King Charles II once hid to escape his enemies. 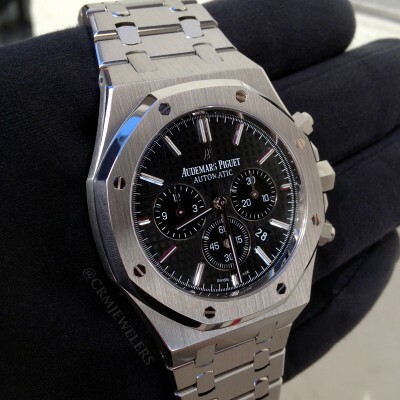 The Royal Oak was the first stainless steel luxury sports watch, a revolutionary design at the time. 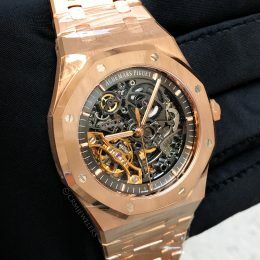 It was created by designer Gerald Genta, and it had features such as an octagonal shape (imitating the porthole of a ship) and hexagonal screws that gave it a unique look and feel. 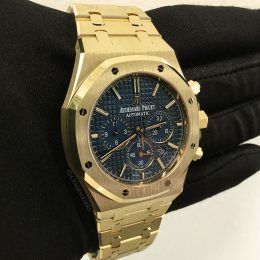 While some would suggest that such an unorthodox design was a gamble when the watch was first introduced to the public, the gamble paid off big time for Audemars Piguet. 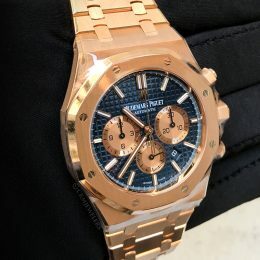 The model was not only a successful move for the brand. It also proved that a good design can come any form. 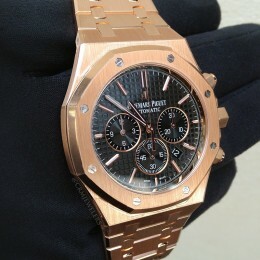 The Royal Oak is one of the most admired AP watches and it accounts for well over half of Audemar’s total sales.